In the wake of a fatal occurrence in Finland, the European Union Aviation Safety Agency (EASA) now issued three recommendations on explosive door openings on parked aircraft. 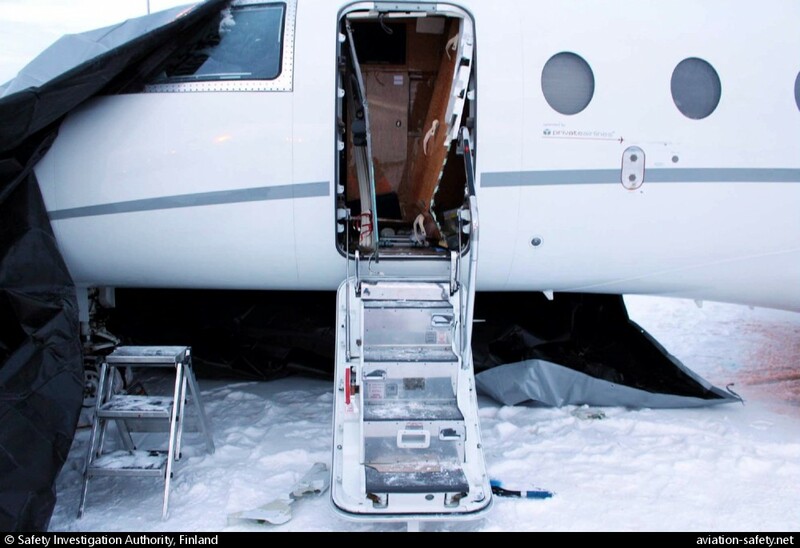 EASA notes that an accident involving a Gulfstream G150 in January 2018 in Finland was one of several occurrences of explosive door openings on parked aircraft, resulting in injuries, including fatalities, to persons inside or outside the aircraft. The main factor leading to these occurrences was an inadvertent development of an excessive differential pressure between the inside and the outside of the aircraft. Air operators, ATOs, maintenance organisations and CAMOs identify if the risk described in this Safety Information Bulletin is present in their operations or activities, and establish procedures that reflect the associated instructions provided by the aeroplane Type Certificate Holder. Air operators ensure that all personnel involved in handling of the aeroplane (such as aircrew, aircrew instructors, maintenance, ground handling, personnel assigned to perform certain task(s) inside the cabin, etc.) are made aware of the risks and that their training and procedures include the case of explosive door opening and its prevention. Maintenance organisations and CAMOs ensure that all affected personnel are aware of the risk of explosive door opening. Aerodrome operators ensure that rescue and firefighting personnel are made aware of the risk of an explosive door opening, if their intervention is required. Other individuals that need to access the aeroplane seek the advice from the operator or the maintenance organisation in-charge before operating a door of a potentially pressurised aeroplane.